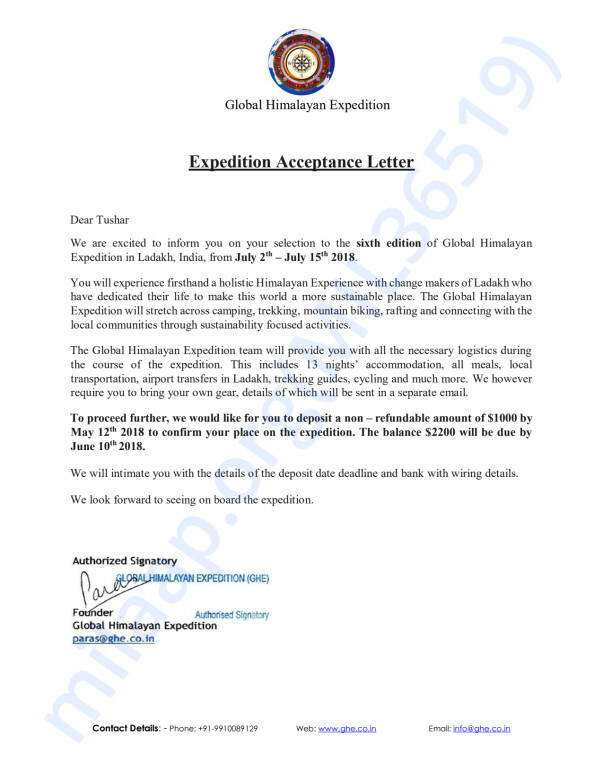 I am happy to share that I've been selected to join the 2018 Global Himalayan Expedition (GHE) where I am joining a 20-member team that will trek through high altitudes and tough terrains to bring electricity for the first time to the remote village ‘Sking’ in Ladakh, using solar micro grids. The village is about 800 years old and has never seen electricity till date! 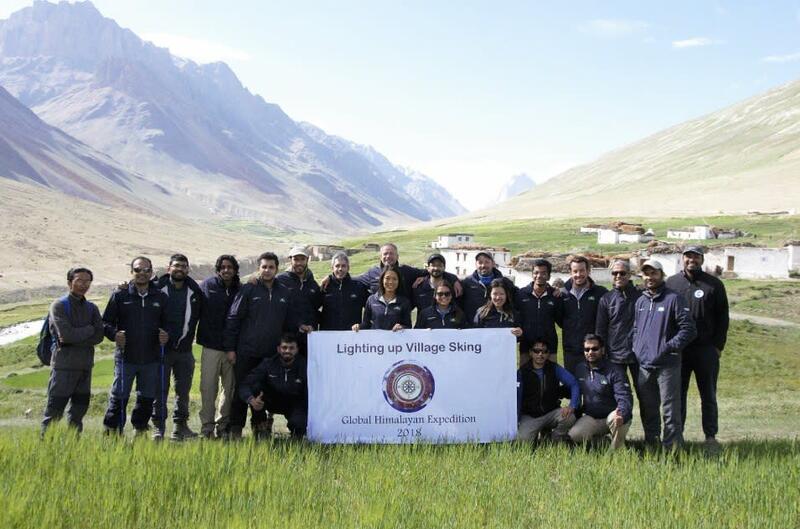 From 2nd – 15th July 2018, I along with a team of 20 international volunteers will set out to bring solar energy to one of the remotest villages of Ladakh and lighten up ~240 lives, that have been relying on unhealthy kerosene oil lamps for lighting and heating in winters. 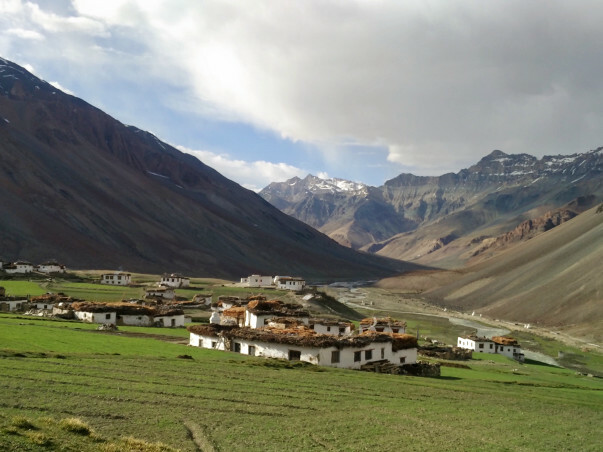 Our team will trek ~150 km through the Zanskar Valley at altitudes ranging between 13,000 – 17,000 ft to reach the village and install 7-8 solar micro-grids, electrical wiring, power distribution system and household lighting. The team would also train a few villagers as entry level solar technicians who would carry forward the maintenance of the grids by using a cooperative fund that will be put together by the villagers. This access to energy will act a stepping stone towards sustainable development of these villages by providing livelihood to the local community by setting up Solar Mountain Homestays that unveil these unexplored corners of Himalayas. I am an operations guy working with Uber since its early days in India, setting up operations in different markets. I graduated from IIT Delhi and then pursued management at Indian School of Business. I will be one of the engineers onboard who would be trekking all the way to village 'Sking' to survey the landscape and then design and install 7-8 solar micro grids to bring joy to these Himalayan residents. The participant’s fee for GHE 2018 expedition is $3200 i.e. Rs. 2,10,000 per participant. This amount would be used to pay for the expedition that includes costs of solar micro grids & ancillaries, its transport & installation and internal costs of getting from Leh to Sking in 13 days. I would be personally bearing the other $700-800 costs of travel to and from Leh and the trekking gear, which is not included in participant's fee. Your donation will support a meaningful initiative which will have a lasting positive impact on household health, productivity, and overall wellbeing while promoting the use of environmentally-friendly solar power. It is an impact venture that focuses on providing clean energy, education access and wireless connectivity to remote off-grid Himalayan villages through solar power. 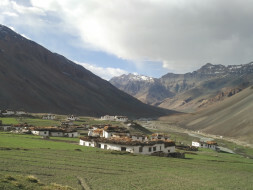 These villages are located at an average altitude of 12,000 ft above sea level and at a trek of 4-5 days from nearest motorable road. a sustainable, scalable and environmentally beneficial manner, leading to holistic development of the community. The initiative was started in 2013 by Paras Loomba and now the team consists of 10 Individuals, which has Jaideep Bansal and Gaganpreet Singh as team leaders. For a below poverty line (BPL) population living on less than $1.90 per day, to be able to maintain solar micro grids, it is imperative to improve their average household incomes by fostering micro-entrepreneurship. GHE help these villagers improve their livelihoods by developing their houses into ‘Solar Mountain Homestays’ ( http://mountainhomestays.com/ ) where travelers can stay and experience local Himalayan life, heritage, cuisine etc. 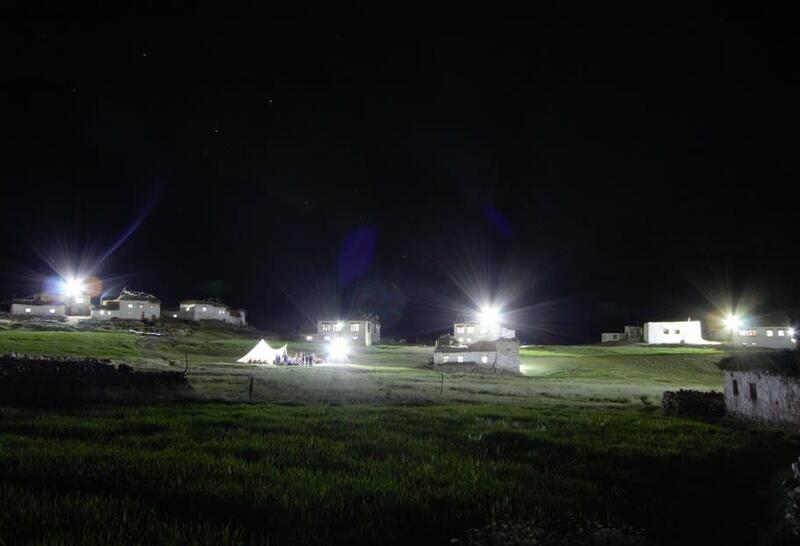 I am ecstatic to inform you that we were able to successfully electrify the village of Sking in Ladakh, bringing light to 31 households for the first time. The villagers received us with open arms and were very emotional to see us come all the way to their village after a treacherous trek followed by 2 days of survey and installation of solar micro grids and lighting fixtures across their homes. I am really grateful and thankful to you all for supporting this endeavor. You contribution did play a big role in bringing joy to this centuries old remote but immensely beautiful village in the valley of Zanskar in the Himalayas. Dear Friends, I am all prepped up for this expedition and wanted to take this opportunity to thank each one of you for your support. I look forward to making a positive impact through this journey and hopefully continue on the mission. Will reach out to guys with more details and experiences from the expedition once I am back. Thanks and Regard, Tushar.